Alternative food networks (AFNs) have become a common response to the socio-ecological injustices generated by the industrialized food system. Using a political ecology framework, this paper evaluates the emergence of an AFN in Chiapas, Mexico. 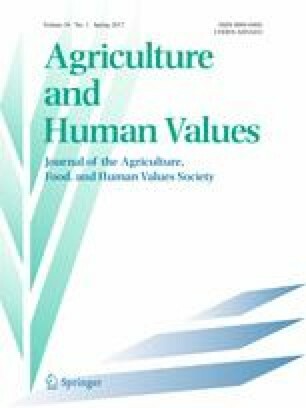 While the Mexican context presents a particular set of challenges, the case study also reveals the strength the alternative food movement derives from a diverse network of actors committed to building a “community economy” that reasserts the multifunctional values of organic agriculture and local commodity chains. Nonetheless, just as the AFN functions as an important livelihood strategy for otherwise disenfranchised producers it simultaneously encounters similar limitations as those observed in other market-driven approaches to sustainable food governance. This research was carried out with the thoughtful guidance of Drs. Margaret Wilder, Tracey Osborne, Gary Nabhan, and Maribel Alvarez. I am indebted to the members of the Food Security and Social Justice Network at the University of Arizona for their constructive comments on this paper and to my geography colleagues Sarah Kelly-Richards and Carly Nichols for their helpful edits. Many thanks to the valuable input provided by three anonymous reviewers and to the Tinker Foundation, the SBSRI Pre-Doc Graduate Research Grant Program, the AAG Latin America Specialty Group, and the Foreign Language and Area Studies (FLAS) Summer Fellowship for research funding. And most importantly, thanks to all of the producers and organizers of the Tianguis de Comida Sana y Cercana who welcomed me into their homes, farms, and marketplaces.